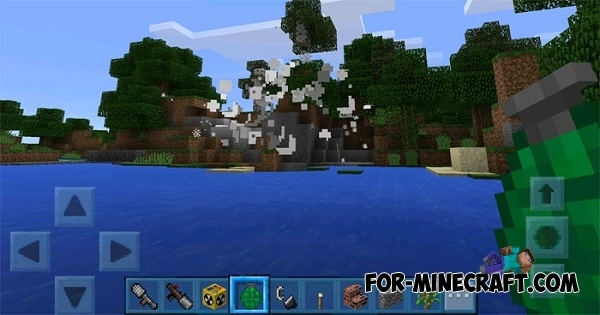 Vladu11’s Guns is yet another modification that adds 4 new types of weapons in MCPE 0.16.0. But this is completely different weapons that have different effects. This mod is certainly not equip you with a huge arsenal (more weapons can be found here - DesnoGun mod). You'll get the shotgun, machine gun, grenades, and most importantly an atomic bomb. Each type of weapon have its own damage and range. For example shotgun can kill an enemy with one shot. This is a very powerful weapon for close combat. Using a a machine gun, you can attack a whole crowd of enemies and destroy them all. And of course test an atomic bomb. 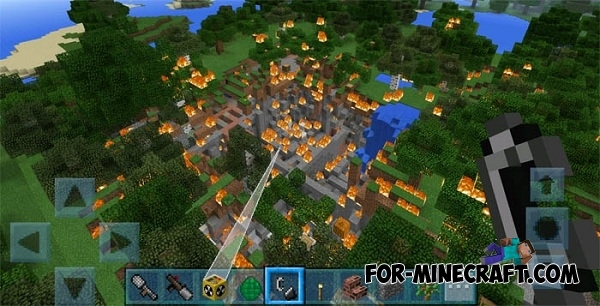 The power of the explosion can be used for the extraction of resources. 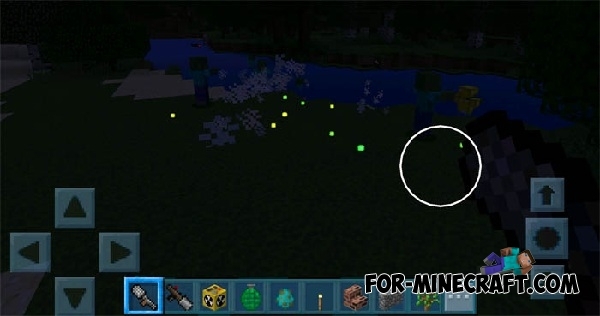 Weapon mod v1.6 for Minecraft PE 0.12.1/0.13.0/0.13.1/0.14.0Cool mod which adds new weapons to the game!